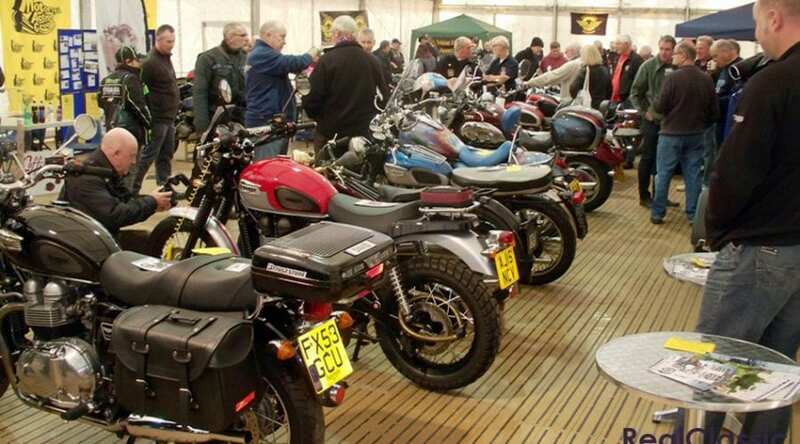 The show is held just a couple of hundred yards from the Springfields retail park, close to Spalding town centre. Approaching the entrance a few traders had set up their stalls. One was called ‘Smoky Jones’, serving hot cooked meat in bread. The ‘smoky’ bit came from the oven attached to Jones’s food bar! This stand proved to be pretty popular on this chilly morning. I arrived at about 10am and found two friends, Martyn and Rebo, enjoying a cup of tea in the café. The show opens at 10am but you can get served in the café from 9.30am which is handy as it can be a cold ride in January. This is a nice show but nowhere as big as the Winter Classic at Newark. The admission price at Springfields is £7 for an adult; however if you look on their website you can get a £2 discount voucher and children from 5 to 15 years old pay £3 each. 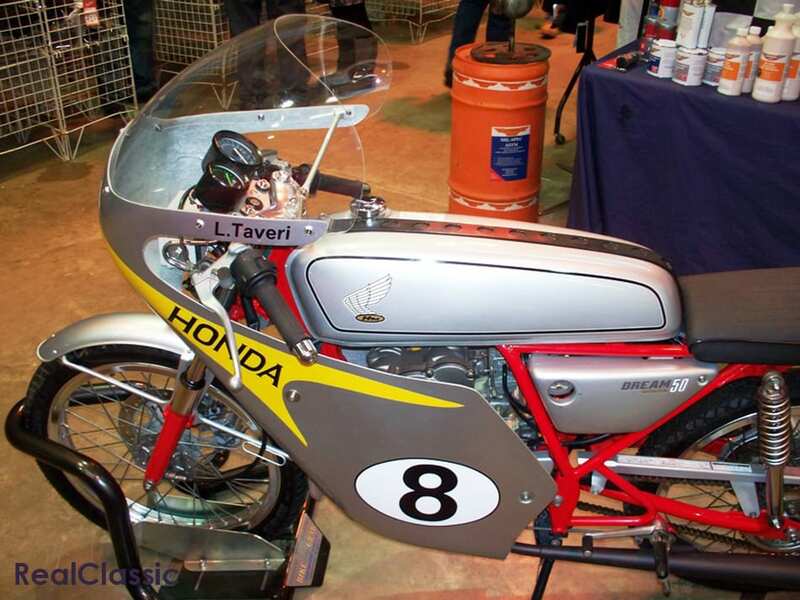 We went there on the Sunday when Ian Hutchinson, the TT winner, was the celebrity guest. My friends and I wandered off for a look around the show – a nice mix of club and trade stands and a good display of private entries, especially in the classic section. As usual at these shows there is some well discounted riding kit to be found and I purchased a pair of riding gloves at a good price. At another large stall the trader was walking around in a top hat with a notice on it saying ‘pay here’! We caught up with Joss Bourne on the MAG stand; he runs the motorcycle section of the local Swaton show (June 25th this year), which I have been to several times. One of our topics of conversation was the fact that you don’t need to ride a 1000cc motorcycle to go touring. In the same hall Martyn spotted a very nice Virago Star and he had a chat with the owner. Wheels Motorcycles had their normal plot at the show; this was close to where Ian Hutchinson was holding his question and answer slot. Finally we made it into the classic bike section: again a good display. 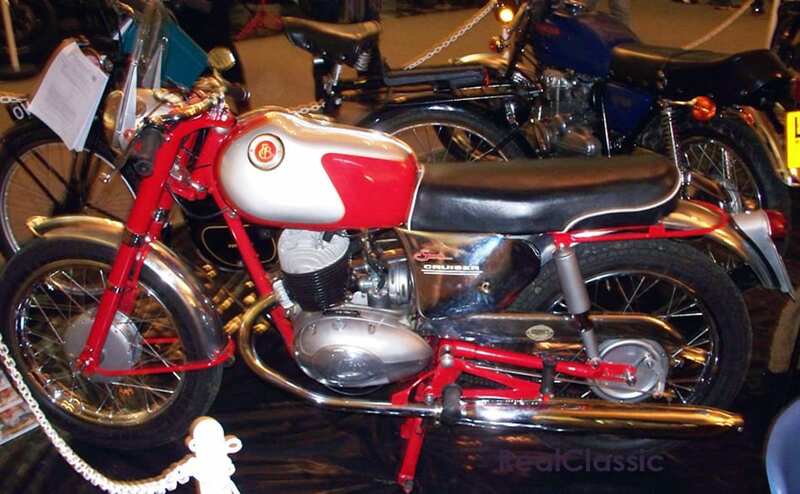 One of the machines was a Francis-Barnett 250 fitted with a twin Villiers engine. This had the Italian-style tank and looked very good. 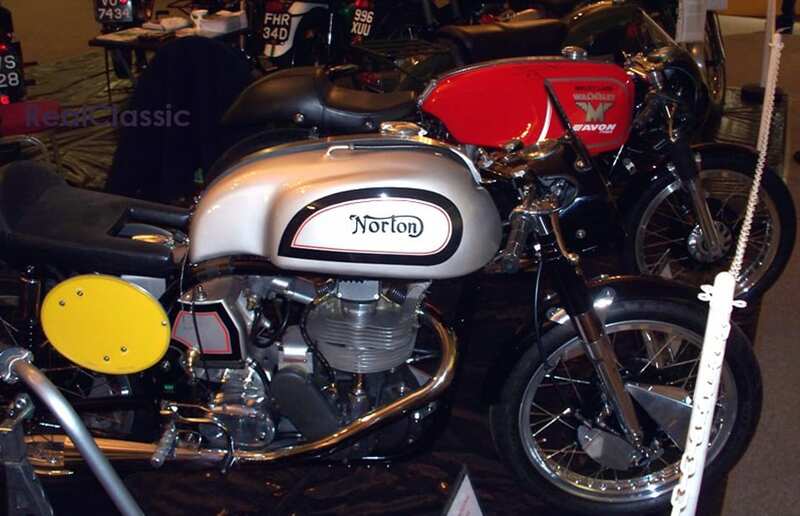 However personally, coming from Kent, I preferred the Norman B4 sports which was a similar locally-made bike, but by that time I had graduated to a Tiger 100 (500cc) so going back to a 250 was not an option for me! Later on we went back to the café for lunch, where we met up with some more friends. Then most of us wandered off for another look at the show, but a couple of the ladies stayed on in the café. Whilst on this walk around I purchased a copy of the book ‘Hutchy – Miracle Man’ which is Ian Hutchinson’s autobiography. The Boston Motorcycle Riders had a stand; they seem to be a progressive club, and their biggest event is Boston Bike Night which this year is on Thursday 6th of July. 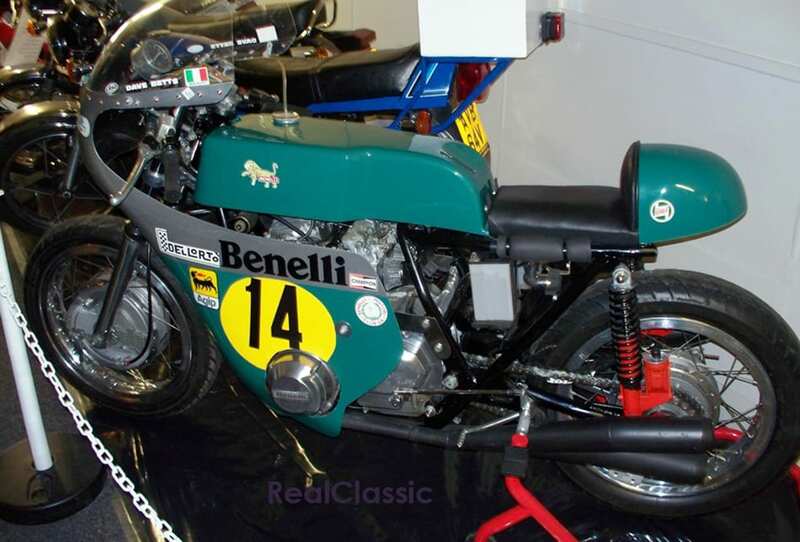 Behind a Ducati there was a Honda 50cc racing bike, built 1997, and with racing modifications fitted to the engine. The owner said that it cruised nicely at 60mph and it’s registered for road use. 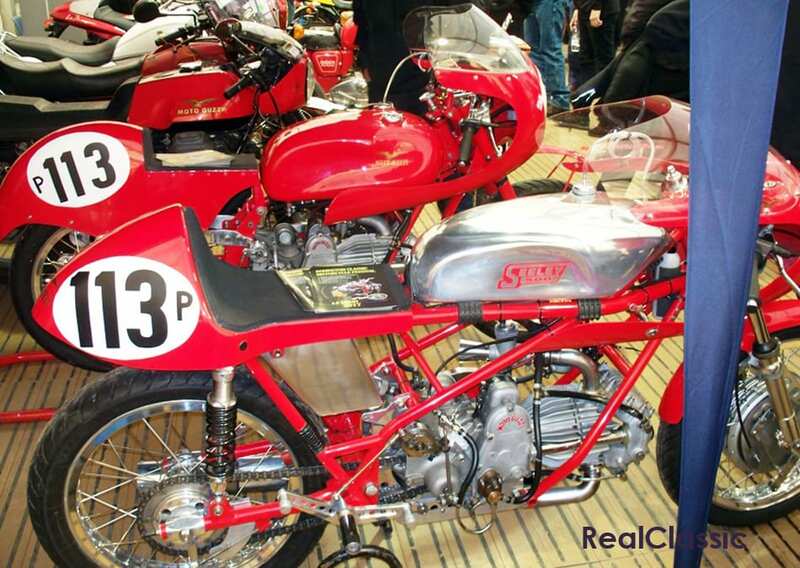 These 50cc machines had their own TT race for a few years in the 1960s. If my memory serves me correctly one of the bike magazines of the day ran a competition to guess to guess the average speed for the first 50cc TT race in 1962. This show was really buzzing, helped by the bright and sunny (if very cold) weather. There were quite a lot of motorcycles parked up outside. Another good show: well done to the organisers.